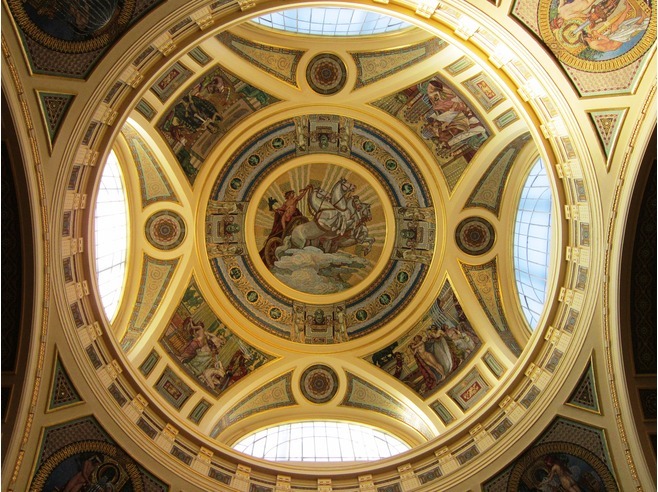 One of the most spectacular spas in Europe is Széchenyi Bath, Budapest. 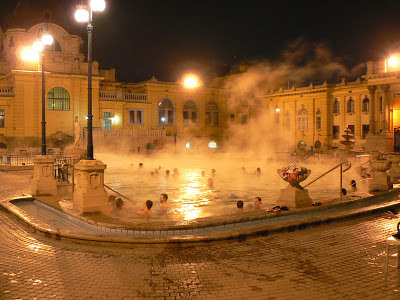 The baths were open in 1881 and were the first in Pesta, the town had already some spas open in Buda, on the other side of the Danube. Today's architecture goes back to 1913, and the baths were completely refurbished in 1999, although even now some improvements are done. 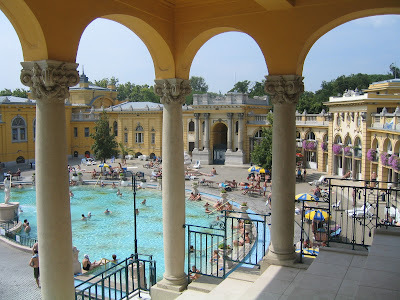 Actually, the architecture is great, the view from above is really great: it's a great contrast between the baths and the classical architecture with a number of statues present. 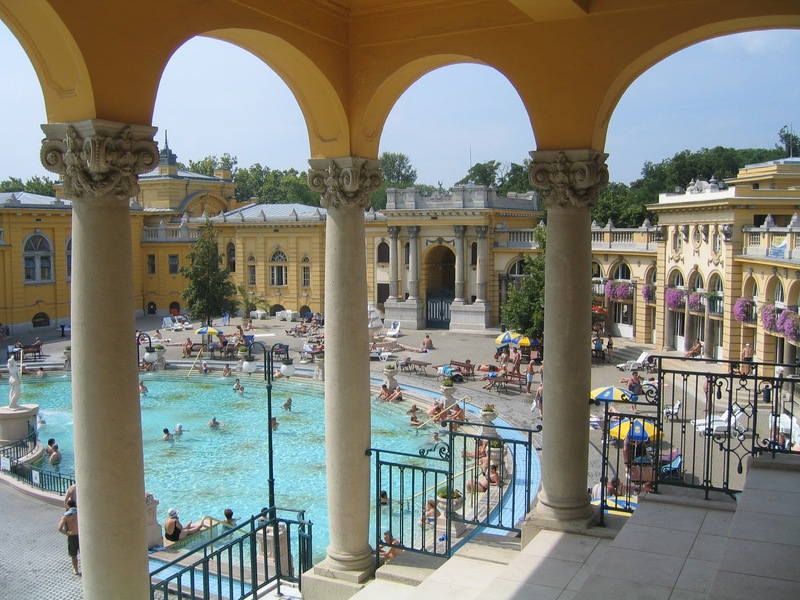 Visiting the Széchenyi Bath you will find yourself in the atmosphere of a typical central-european palace. There are 3 outdoor pools: a large one for swimming and 2 smaller jacuzzi style where you can also get a massage. Indoors there are man more, open 12 months a year, with a lot of massage possibilities. To get more info on this spa you can visit the official site here: Széchenyi Bath & Spa Budapest. For a description and history of all the other spas in Budapest you cam visit the official tourist info site here: Visit Hungary - Spas of Budapest. Outdoor pools are always so awesome! They're my favorite spots to sit back and relax, next to my most favorite, London spas! I think I'll be coming to Budapest this vacation. The “winter spa” sounds cold when you hear it. But that doesn't matter, because if the spa's as good as this one, I'm ready to feel that drastic hot-to-cold change in the atmosphere! Thanks for sharing this!